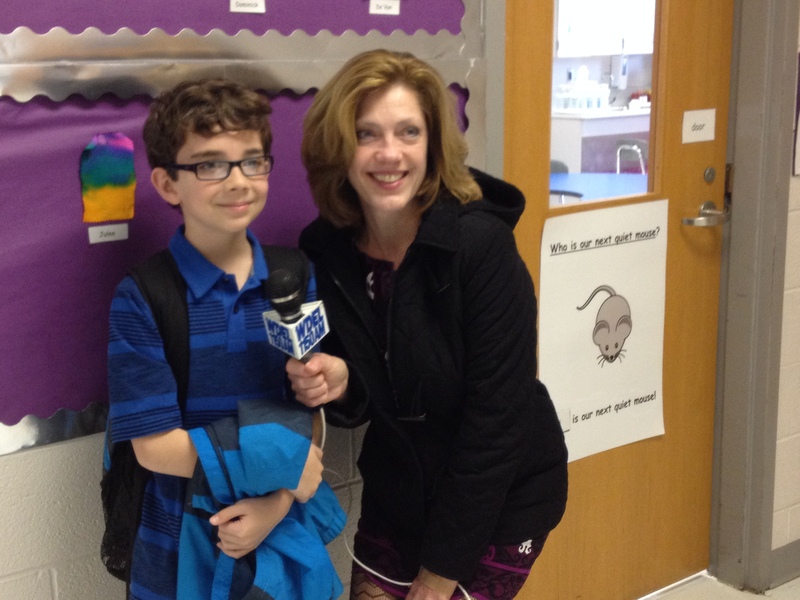 On Wednesday a reporter named Mellany Armstrong from WDEL came to my school and talked with me about Brae’s Brown Bags and the recent grant I received. Ms. Utterson let us sit in her room so it would be quiet. My Mom and Ms. Utterson walked around while I talked to Mellany. It went really well I think. I got to watch the video interview yesterday and I’m pretty proud of myself. Mellany seemed to think that Brae’s Brown Bags is a really great idea. She was very nice. I am thankful she decided to talk to me and share my story with people. Or you can also listen to it by downloading the MP3. I loved your interview, Braeden. Your choice of words touched my heart!